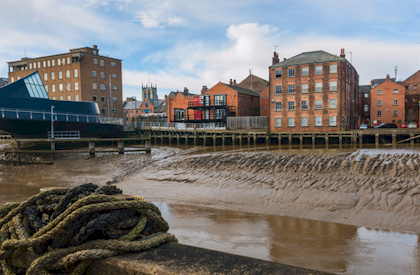 Kingston upon Hull, usually abbreviated to Hull, is a city in the East Riding of Yorkshire. It lies upon the River Hull at its confluence with the Humber estuary, 25 miles inland from the North Sea. The city is unique in the UK in having had a municipally owned telephone system from 1902, sporting cream, not red, telephone boxes.